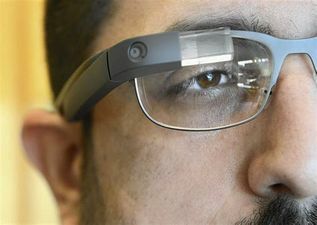 Google Glass* is getting most of the buzz for the moment, but at least a dozen companies are working on prototypes of radically new form factor computing devices. * Signs up for a health club membership. The device providers recognize that just like real estate, location is really all that matters. The future of computers is free software, free wifi, free video, free phone service, free music, and even free computers. These items are no cost or low cost to the provider. The user will exchange free computer and services for the value of his realtime location and environmental information. The heads-up displays are less expensive than many smartphone displays. The days of $400 INTEL CPUs are long gone. The new breed of multi-cores such as those from Marvell and others make the boys in Sunnyvale shudder. Of course devices like the 8-core TOMI Celeste built in DRAM fabs are the cheapest CPUs you can make. TOMI Celeste's 64-bit 8-core does the heavy lifting of image recognition, phoneme extraction, and some of the graphic generation, then goes back to idle at only hundreds of microwatts. * Google Glass is a trademark of Google Inc.